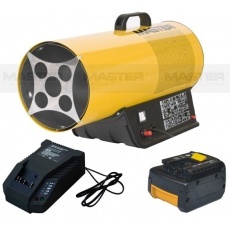 Master LPG Battery powered propane gas space heater. 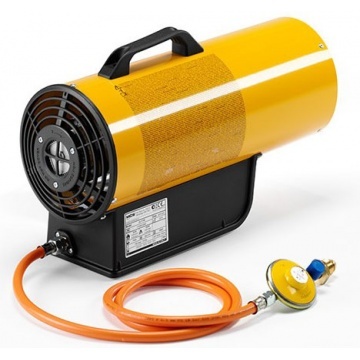 No mains no problem the new Master BLP17MDC gas heater can work with mains or 12 volt dc battery, 8 hours use from 1 hour charge. 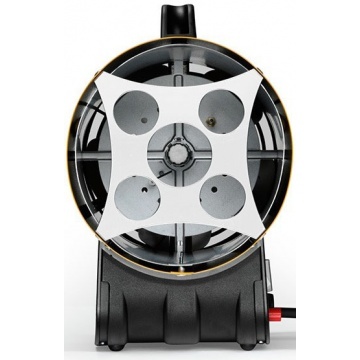 Robust powder coated construction, motor has thermal protection and overheat thermostat. Variable heat 10 – 16 kW. Ideal for locations where mains connection is not possible. 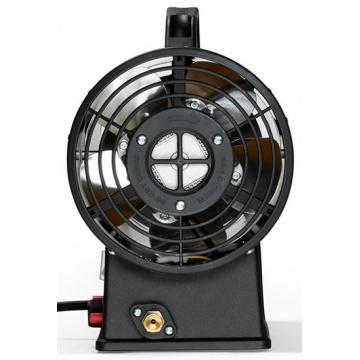 12v DC Battery Powered Gas Space Heater. 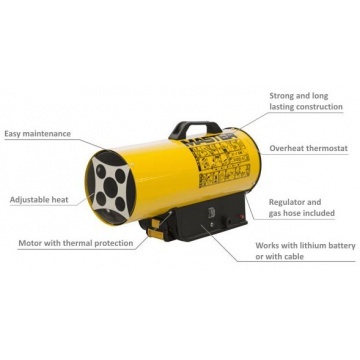 240v mains or 12v dc battery. Runs for upto 8 hours from 1 hour of charging. 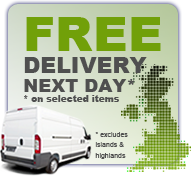 Supplied with cable & standard UK 3 pin plug.